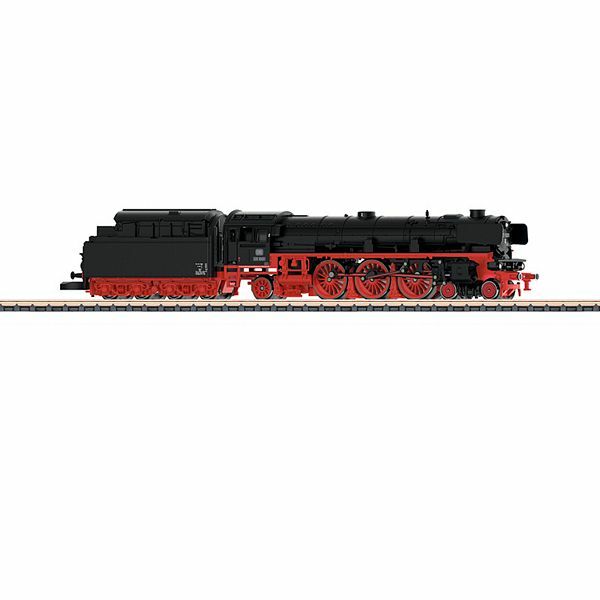 Prototype: German Federal Railroad (DB) class 03.10 express steam locomotive with a high-performance new design boiler. The locomotive looks as it did in Era III. Non-streamlined converted version with Witte smoke deflectors. Pilot truck wheels done prototypically as solid wheels. 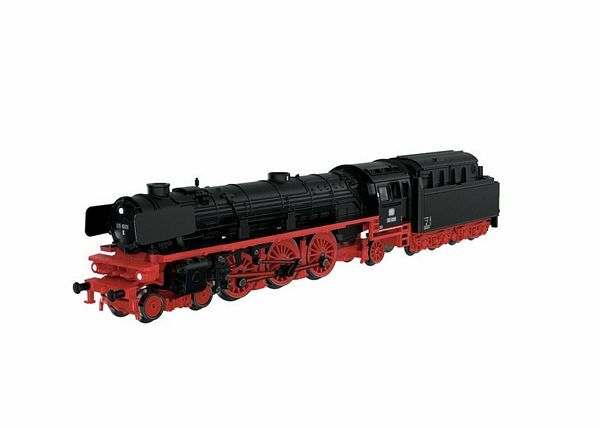 Model: The locomotive is new tooling that is finely detailed. The locomotive body is constructed of metal and has inset cab windows. There is modeling of the brakes, inductive magnet, track clearance devices, etc. on the underside of the locomotive. The headlights are freestanding. 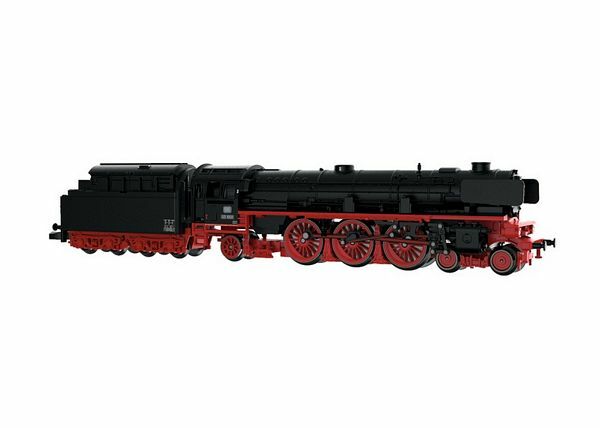 The valve gear and drive/side rods are finely detailed. The locomotive has a motor with a bell-shaped armature. All three (3) driving axles are powered. Warm white LEDs are used for the headlights on the locomotive and the tender, and they change over with the direction of travel. The tender has spoked wheels. Length over the buffers approximately 110 mm / 4-5/16". The minimum radius for operation is 195 mm / 7-11/16". Modeling of the braking system, inductive magnet, track clearance devices, etc.